I’ve been to Las Vegas twice in my life. I’ve enjoyed both trips quite a bit, but not because of the gambling, the shows or even the food. No, my attraction to Vegas is the wacky architecture. Being an urban photographer, Las Vegas is a treasure trove of visual delights. 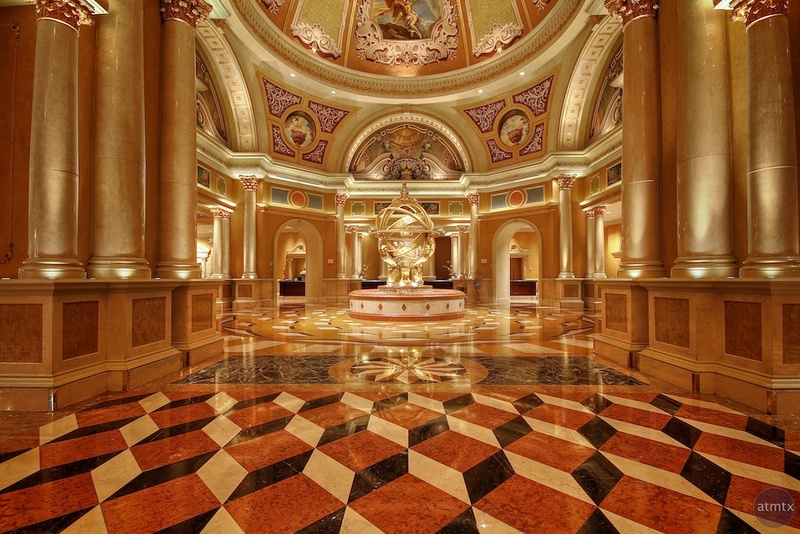 I took this photo of the Venetian Hotel lobby back in 2010, during my first visit. I was in Vegas for a conference and actually stayed at the Venetian. I was immediately attracted to the golden interior as a subject for HDR. HDR tends to make grungy things grungier and shiny things shinier. Sure, the Venetian is over the top, but the HDR adds that little extra. Three image HDR taken with the Canon 7D with the Sigma 10-20mm lens. Part of my new Technicolor Collection.